Fingerprint Cards, Sveriges nästa storbolag. 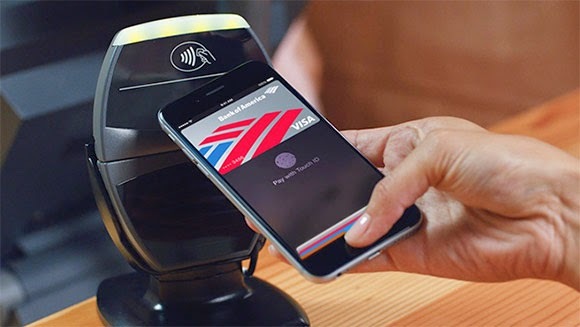 : Bank of America says 1.1 million cards now use Apple Pay. Bank of America says 1.1 million cards now use Apple Pay. Bank of America is one of the major partners for Apple Pay and alongside its financial results, the company revealed today that nearly 800,000 customers have started using Apple's new payment method. As a result, more than 1.1 million cards have been added to Apple Pay just from Bank of America alone. In addition, the good news for Apple Pay continue as adoption grows with new grocery chain stores adding support for the payment method. In Northern California and Nevada, USA super market chains Lucky, Save Mart and FoodMaxx will allow customers to pay with Apple Pay. In December, Apple Pay was embraced by L&N Federal Credit Union, UW Credit Union and M&T Bank bringing the total number of issuing banks up to 23.